Add a Lifetime protection plan to your Yukon Performance Driveshaft purchase. 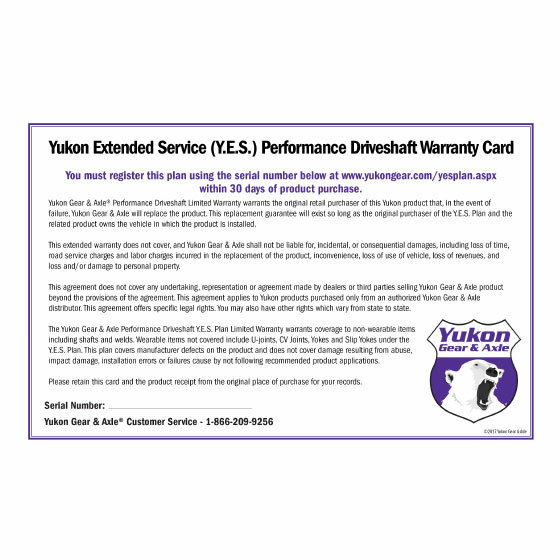 The Yukon Extended Warranty Plan is a no questions asked warranty for your Yukon Performance Driveshaft. This plan is good for as long as you own your vehicle. The plan is non-transferrable if the vehicle is sold.